Bike Loan – Aussie Loans – Low Rates and Great Service. 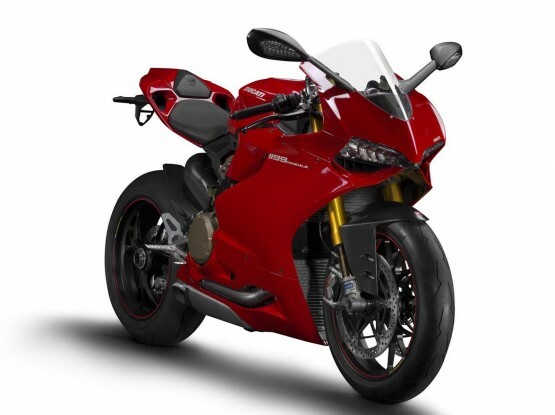 Bike Loan – If you’re looking to buy a new motorbike as your primary vehicle or as a weekend tourer, you may need some bike finance to do this. We can help you secure the right loan with a great low interest rate and affordable repayments. So why choose Aussie Loans to assist you with the task? We have a highly experienced team of experts. We handle most of the lenders paperwork for you. The Loan can be approved within 2 hours and funded on the same day. Buy through a Motorbike dealer or privately – we won’t lock you into anything. We can come to you during office hours if that helps. We want to save you some time and effort. What are the benefits of Bike Finance from Aussie Loans? You can select an optimum loan term from 2-7 years. We can arrange and include Bike Insurance in on the loan which keeps your purchase expenses down. We will advise you on Loan Protection and discuss the option of working it into the repayment plan. Your loan repayments can be scheduled to line up to your pay day either weekly, fortnightly or monthly. Our financiers pass on wholesale interest rates so that we can beat the Banks. Which way should you go in terms of Secured Finance or Unsecured Finance? The basis for secured bike loan is that the credited loan amount is weighted up against the asset – the Bike itself. This allows the financier to pass on a lower interest rate because if you are unable to pay the debt back, the asset can be sold and the funds used to payout the loan. The financier is in a more favourable position with less risk. No penalty for additional payments although there may be a cost to pay the loan out early. Interest rates are fixed for the life of the loan. They won’t go up if Reserve Bank rates go up. The Title/ownership of the Bike is held in your name – not the financiers name. A deposit may be required but dramatically reduces the rate and cost of repayments. You own the asset from the Loan commencement date. Loan fees can be combined within the loan amount so there is nothing to pay upfront. You can choose the term of the loan to best suit your budget. Have the bike that you want today – loans available up to $100000. An unsecured loan does not require the credited amount to be weighed against an asset. These loans are awarded based on your financial situation using your income and credit history. In general an unsecured loan can be used for other items you wish rather than a specific item like a car, bike or boat. This also means you can buy and sell items within the loan term without affecting it. Because there is more flexibility, interest rates are generally higher than secured loans. Available for any person looking for personal credit. You own the asset from the outset. No deposit is required however some financiers cap the loan amount at $40000 – $60000 – varies from company to company. You are able to payout the loan before the term ends with no penalty or cost. You can buy one or more assets with the one loan. The loan amount is funded to your account to use on the goods that you wish to buy. Can be used to buy older bikes as well as later model bikes – Collector bikes any age. Deposit: A lump sum payment before the loan term commences to secure the loan, decrease the interest rate or minimise the repayment amounts. Terms: The number of years decided for the length of the loan. The longer the time frame the less your regular repayments will be, this may assist your current cash flow but mean you increase the total amount repaid. Balloon/final payment: Is the final payment due on the commitment – It is placed at the end of the loan to allow for lower monthly payments. The balloon is worked out as a percentage (10% – 50%) of the original cost price and is dependent on the term of the loan that you choose. Comparison Rate: Advertised rates of interest indicated by the use of a % sign that takes into account additional costs of the loan such as monthly servicing fees. Payment Arrangements: The schedule for repayments due such as weekly, fortnightly or monthly. Call our friendly team now on 1300 256 267 for a low interest rate Bike Loan.